What is Blockchain Consortia about? The Consortia will provide a forum for the consortiums and their prospective partners and other interested parties to showcase and evaluate their development and the future. The event will provide an opportunity for discussion on how blockchain and DLT are impacting trade finance and the business opportunities these new technologies offer to banks, funders, SMEs, government bodies, trade bodies and corporates etc. As event partners, Trade Finance Global can offer their members a 10% discount on your delegate pass rate. 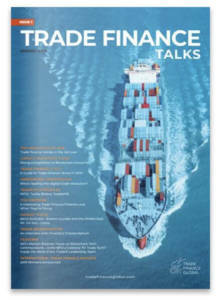 To register please follow this link The Trade Finance Global delegate discount code is TFG19– please utilise the code upon booking. What is Blockchain for Trade Finance? Cryptocurrency is a term that has dominated the media headlines in recent years and one that most people will, by now, be at least partially familiar with. Most people associate it with things like price volatility, the dark web, and anonymity. However, few people understand how cryptocurrencies actually work. This is significant as the crypto technologies that these currencies are built on are changing the world in many other ways.